CashCourse® ISU provides students with information to improve financial literacy skills. "Your degree will say Scott College of Business, but what it prepares you for is so much more." You probably want to take a look at our Academics menu for the programs we offer our students. What Scholarships we offer and how to Apply to Indiana State. You probably need to look at the services and resources available to you under the Students menu. We've got a whole section for you under the Faculty/Staff menu. 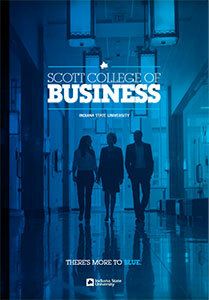 Information specific to the Scott College of Business can be found on our own Faculty & Staff pages. Alumni, we've got a whole section for you under the Alumni menu. Stay in touch, keep up with what's happening at your alma mater here. Community and business partners, see who we are and what we do under the About menu. 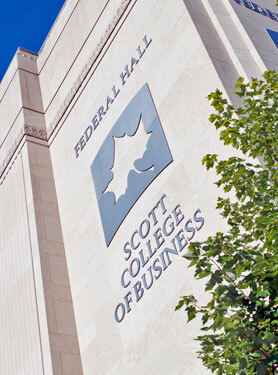 The Indiana State University Scott College of Business is dedicated to providing an internationally-accredited professional education to qualified students at both the undergraduate and master’s levels. Our primary focus is to provide an experiential learning environment that prepares students to take leadership roles in both public and private organizations. 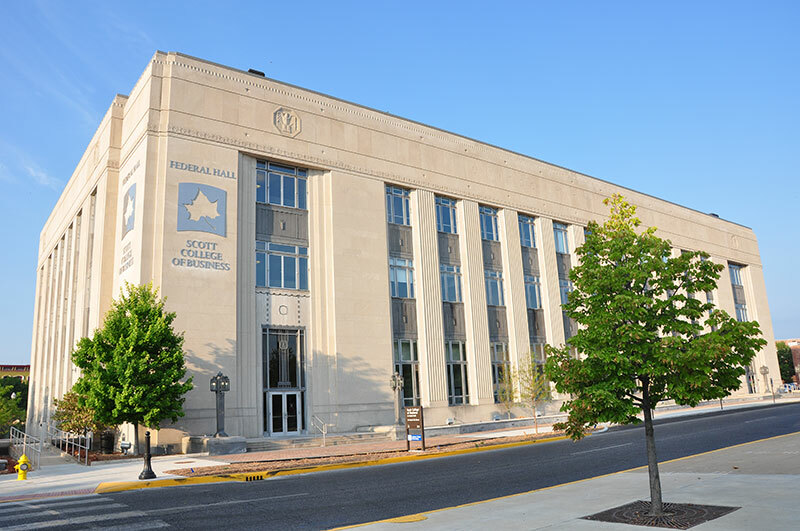 In tandem with this commitment, the College supports, encourages, and produces applied and educational research, development of relationships with the business community, and service to the region and the professions.